•2 Realscale swimbait lures. • unbeatable REALSCALE finish. They are designed to catch and conquer the biggest Predator fish within The UK. •green and yellow pike. These Lures are Tank Tested, Pull Tested, Shock Tested & Leak Tested. • unbeatable REALSCALE finish. They are designed to catch and conquer the biggest Predator fish within The UK. These Lures are Tank Tested, Pull Tested, Shock Tested & Leak Tested. • Top quality carbon steel size 4 trebles. Perchcandy 8cm 13g mini roach lure pike perch zander fishing swimbait! UK!! 8 Genuine Hengjia countdown minnow lures. 100 mm in length. 7 Grams in weight. uk sales only. Superb lifelike swimming action. REALSCALE x 4 minnows. unbeatable REALSCALE finish. These lures will catch. These Lures are Tank Tested, Pull Tested, Shock Tested & Leak Tested. Top quality carbon steel trebles. Available in 2 sets. 6 Hengjia Countdown sinking lures. Target fish: pike, perch, zander, trout, chub. Bright colors for attracting big fish,minnow baits for shallow water. A combination of colours and styles to cover all fishing situations. 6 Genuine Hengjia Crankbaits. Rattle inside. These lures will catch. Mini "big S " shape. Size 8 carbon treble hooks. 4 Genuine Hengjia soft jelly lures. Bright colours to attract predator fish. These lures will catch. Built in treble hook. soft rubber texture. 4 Hengjia lures. Target fish: pike, perch, zander, trout, chub. 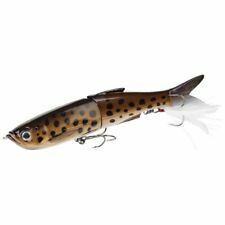 Bright colors for attracting big fish,minnow baits for shallow water. Rattle inside body. A combination of colours and styles to cover all fishing situations. 6 Genuine Hengjia soft jelly lures. Bright colours to attract predator fish. These lures will catch. Built in treble hook. soft rubber texture. Spinners Are The Exact Ones You See In The Pictures. •unbeatable REALSCALE finish. •2 x jointed minnow crankbait lures. •Perch & Roach. They are designed to catch and conquer the biggest Predator fish within The UK. • These lures will catch. These Lures are Tank Tested, Pull Tested, Shock Tested & Leak Tested. SALMO BUTCHER 5CM(7G) SINKING. chub,perch,trout pike. PLUG/CRANKBAIT. 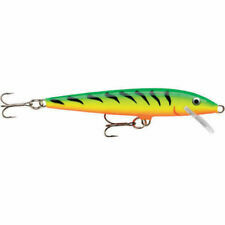 minnow lure 11cm in the mackerel colour pictured. nice sharp hooks. Great for bass zander and Pike. 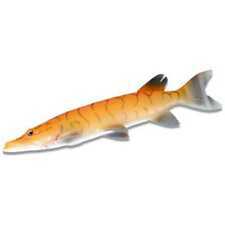 SALMO BUTCHER 5CM(5G) FLOATING. chub,perch,trout pike. PLUG/CRANKBAIT. Jointed Holographic Floating Minnow Lures 110mm x 2 Lures Pike Predator. These Pike / Predator Jointed Rattling Holographic Lures are ideal for Pike, Zander, Perch and many other Predators, They are 'Tsunami Pro' Lures made from the highest quality materials. 4x Crayfish Crawfish Plug Lure LRF Never used but packaging is a bit crumpled! These Pike / Predator Jointed Rattling Holographic Lures are ideal for Pike, Zander, Perch and many other Predators, They are 'Tsunami Pro' Lures made from the highest quality materials. TsunamiPro Premium Lures are suitable for Freshwater predator / Pike Fishing or Saltwater predator Fishing. SAVAGE GEAR 3D GOBY 2 X 16cm 62g RED BLACK The Black Mouth Goby, round Goby, black Sea Goby The neogobius, was incidentally introduced into Nortern Europe via leaking water from container ships ballast tanks back in 1990, and it has quickly settled and populated the coastal regions along the Baltic Sea, from Sweden and Finland via Russia and Balticum to Poland, Germany, Denmark and the Netherlands. SAVAGE GEAR REAL EEL READY TO FISH OLIVE PEARL 20cm 38g - 1 lure per pack. The spitting image 3D Real Eel is designed to swim with a big, lively curl tail kicking action - both on steady retrieve and on the drop – where they produce the perfect escape pattern, tricking even the most wary predator fish to attack. Field testing results have been phenomenal and these easily fished lures will amaze you! Perfect for Pike and other big predator fish – even Saltwater! Superb for casting and trolling over shallow areas Ultra slow-speed action. NEW 2018!Taps Osa 1 8.5cm/ lure for asp, pike, zander, perch / VARIOUS COLOURS! 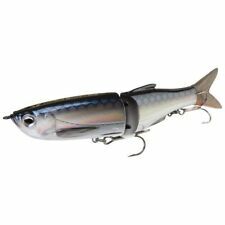 Job Lot of 3 x 7cm 6gramme Warbird Minnows + 3g Sonic Spinner.Perfect Xmas Gift. D.A.M. Effzett Original Spinners X 7 Pike Perch 6g & 9g Black .